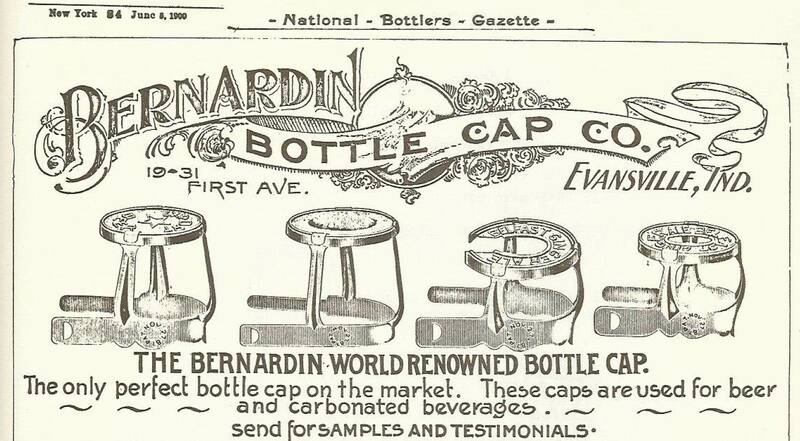 Bernardin was originally just a bottle cap and lid company. It transitioned into a mason jar lid company making lids for other companies’ jars, then a Canadian company. 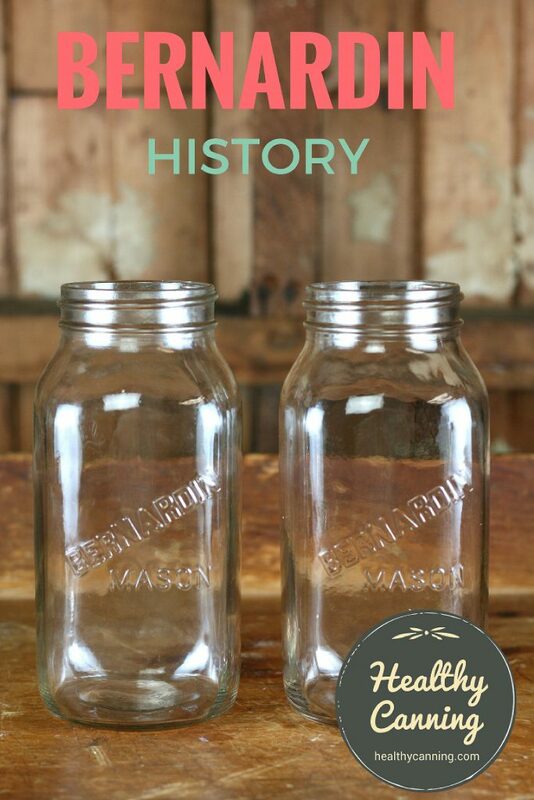 It did not actually start selling its own mason jars until possibly as late as the 1990s. He was trying his hand at several businesses, one of which was importing wine from France to the United States. He had a lot of product loss from corks blowing off bottles during shipments [Ed: on sparkling wines, presumably], so he invented a metal clamp lid to hold the corks in place. He set up a company to make the caps and called it the Bernardin Bottle Cap Company, Inc. It was located on Northwest Fourth Street, in Evansville, Indiana. He filed a patent application for the metal clamp lid at the end of 1884, and received the patent in 1885. 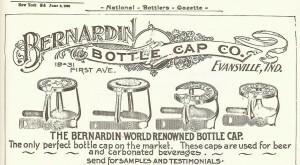 Bernardin bottle cap ad from 1900. Click to enlarge. In 1908, Alfred Bernardin was elected second vice-president of the Indiana Manufacturers’ and Merchants’ club, and took up the fight against prohibition, which would have done his beer bottle cap business no good: “Business interests of Indiana, allied with the brewery industry, have organized under the name of the Indiana Manufacturers’ and Merchants’ club, for the purpose of ‘protecting the business interests of its members against the injurious effects of the prohibition movement and to use its moral influence against legislation which may affect them injuriously.’  Liquor League Makes New Move. Fort Wayne, Indiana: Fort Wayne News. 14 April 1908. Page 1. Alfred died in 1916. There was $4,560 inheritance tax on his estate. ”and Alfred L. Bernardin, Vanderburg County, $4,560.” Inheritance Tax Returns, Col 3. Francesville Tribune May 3, 1917. Page 3 . Alfred’s son, Alfred Louis Bernardin II, ran the business until 1922, when he died. It was sometime between 1916, when Alfred Sr died, and 1922, when Alfred Jr died, that the company began making the Bernardin two-piece metal mason caps for home canning. The Daily Screw. 8 February 2004. Accessed March 2015 at https://www.bullworks.net/daily/04feb08.htm . Attributed to book: Indiana: From Frontier to Industrial Commonwealth , 1954. In 1933, Alfred Louis Bernardin, III (born in 1910 – he was still alive in 1982 at least), took over the business as its president. 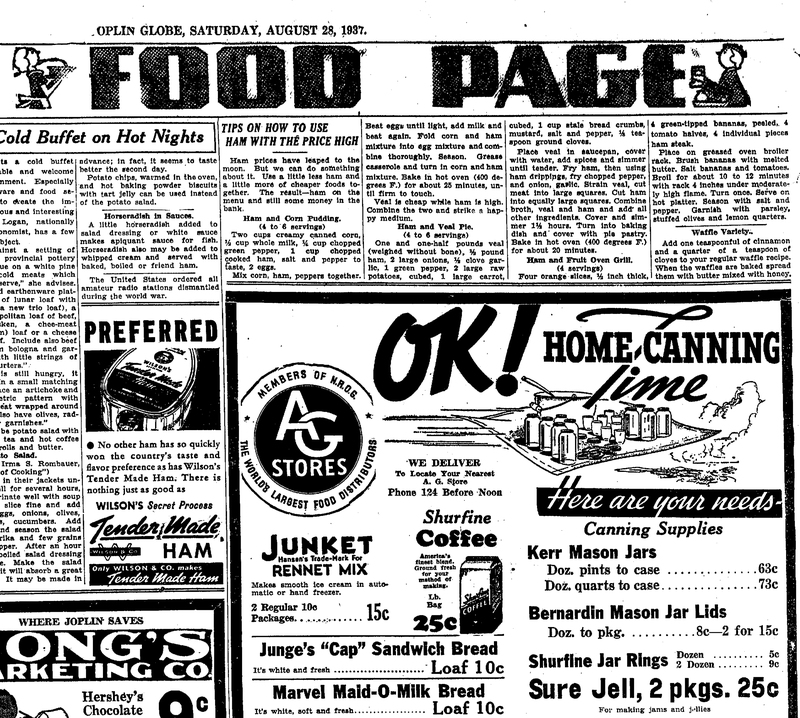 In 1937, the first ad that HealthyCanning.com (as of March 2015) is aware for Bernardin mason jar lids directed at consumers appears in newspapers. 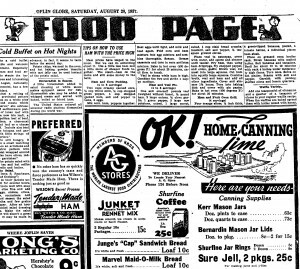 Advertisement in: Joplin Globe. Joplin, Missouri. Saturday, 28 August 1937. Page 6. See bottom-right corner of ad. Click to enlarge. 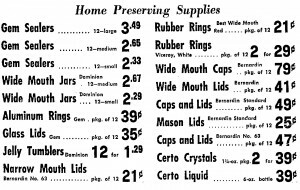 After 1937, ads for Bernardin mason jar lids become quite common in American newspapers. 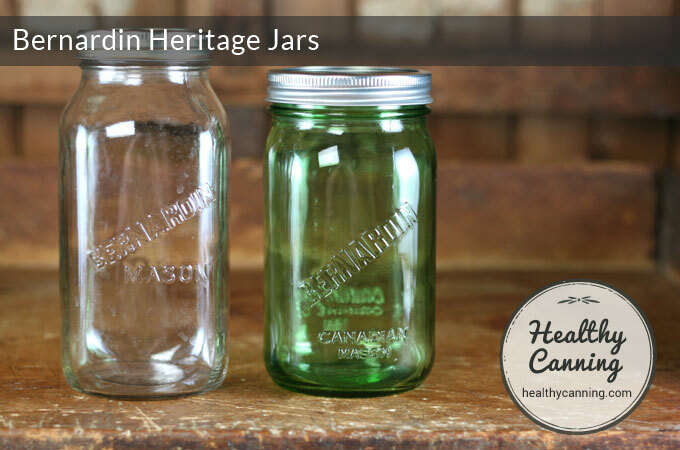 In 1945, the first ad in Canada that HealthyCanning.com (as of March 2015) is aware for Bernardin mason jar lids appears in newspapers. They mention that their Canadian office is in Vancouver. Advertisement in: Lethbridge Herald. Lethbridge, Alberta. Thursday, 12 July 1945. Page 8 / “back page”. Click to enlarge. 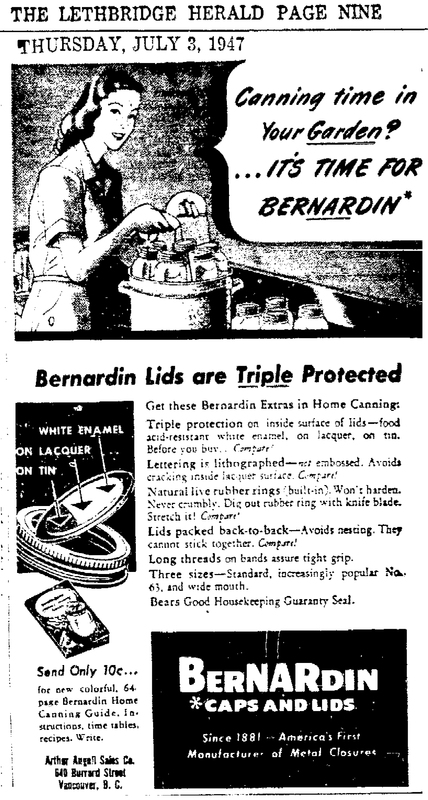 In 1947, Bernardin proudly advertised themselves to Canadians as an American company. Advertisement in: Lethbridge Herald. Thursday, 3 July 1947. Page 9. Bernardin touts its American pedigree. In later years, as Canadian nationalism grew, that would be replaced in its advertising by a jaunty maple leaf affixed to its name. Click to enlarge. 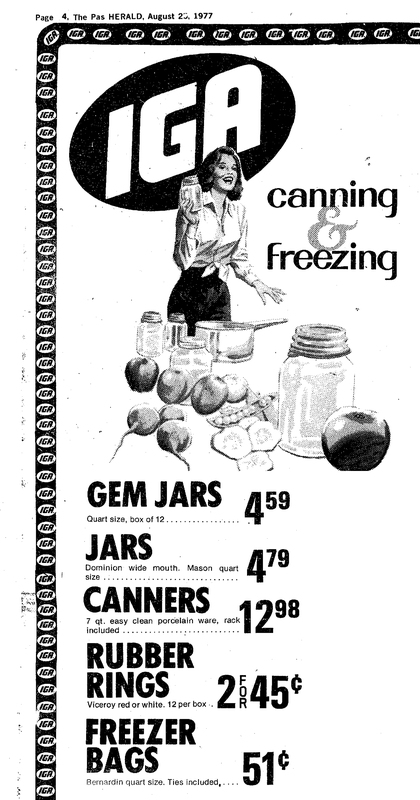 1966 advertisement showing jars by various makers (“sealers” in Canada are preserving jars), and Bernardin lids for those jars. Advertisement in: The Lethbridge Herald. Lethbridge, Alberta. 29 August 1966. Page 6. Click to enlarge. 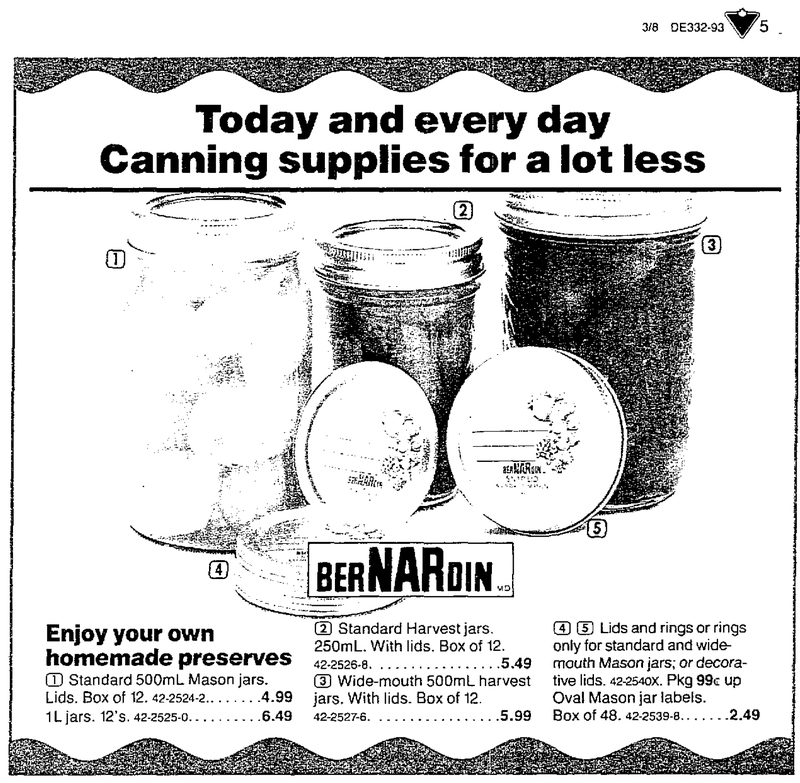 In the 1970s, Bernardin sold freezer bags as home preserving moved solidly in favour of freezing. Advertisment in : The Pas Herald. The Pas, Manitoba. August 25 1977, page 4. See bottom of ad. Click to enlarge. EVANSVILLE, Ind. (AP) — National Can Corp. said Tuesday it has signed a letter of intent to purchase Bernardin Inc. and the affiliated Bernardin of Canada, Ltd. The amount of purchase was not disclosed. Bernardin officials said company sales in 1979 were about $24 million. Bernardin, a privately owned company based here, produces metal and plastic caps by a method known as injection molding. The company is also known in the food, pharmaceutical, detergent and chemical industries for its home canning lids. Bernardin of Canada is in Toronto. National Can, based in Chicago, announced A.L. Bernardin, now president, will become chairman of the subsidiary. Final agreement on the sale is expected to be signed by the middle of next month.”  Companies Merge. Kokomo, Indiana: Kokomo Tribune. 9 January 1980. Page 8. Alfred Louis Bernardin, III, is still alive and president at time of this 1980 acquisition. 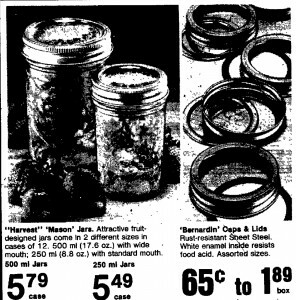 1983 Woolco advertisement showing Bernardin lids alongside “Harvest” mason jars made by unknown maker, possibly Golden Harvest. Advertisement in: The Lethbridge Herald. Lethbridge, Alberta. 28 June 1983. Page B7. Click to enlarge. In 1990, Laurie Westover was the home economist for Bernardin of Canada. “Update old pickle and relish recipes”. Shoal Lake, Manitoba: Shoal Lake Star. 18 September 1990. Page 13. In 1992, the “home economist [was] Tara Fainstein at Bernardin of Canada Ltd.”  Creighton, Judy. 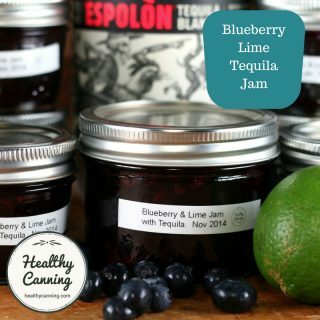 Trendy fruit vinegars add distinct taste to many dishes. Winnipeg Free Press. 22 July 1992. Page 23. At one point, Bernardin released a clear jar with a less ornate logo on it. These goods were Consumers Glass’ production of jars in 1995, which were sold to Bernardin to be packaged and resold with Bernardin’s bacon packs [Ed: apparently a “bacon” pack is a “12-pack”] , and Bernardin’s production of bacon packs prior to 1995, which were sold to Consumers Glass to be packaged and resold with Consumers Glass’ jars….. Bernardin sold bacon packs to Consumers Glass which, in turn, marketed the bacon packs with its mason jars. 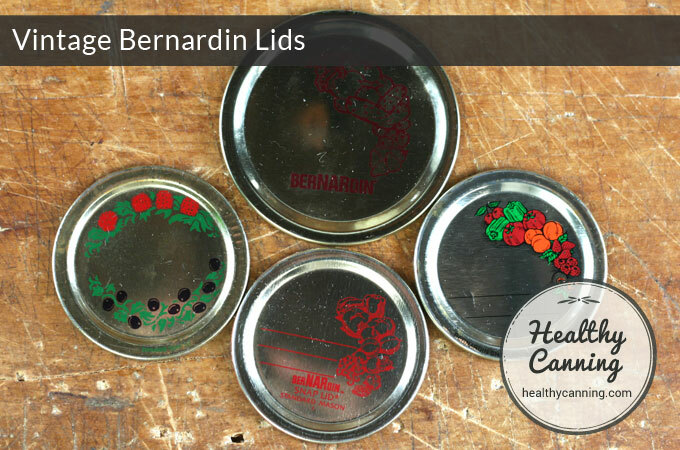 Bernardin marketed, and continues to market, caps and lids to the replacement market under its own name. Consumers Glass, with the acquisition of Domglas Inc. in 1989, became the sole domestic supplier of mason jars. In 1995, the marketing arrangement between Consumers Glass and Bernardin was reversed so that Bernardin now purchases and markets jars produced by Consumers Glass, although the jars with bacon packs are still packaged and held in inventory by Consumers Glass.”  Canadian International Trade Tribunal. 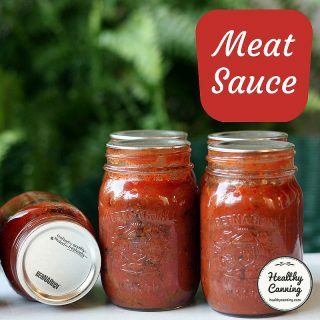 Inquiry: Caps, Lids And Jars Suitable For Home Canning, Whether Imported Separately Or Packaged Together, Originating In Or Exported From The United States Of America. Inquiry No. : NQ-95-001. October 1995. Page 11 – 12. 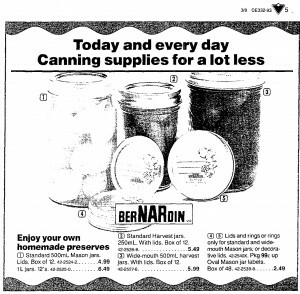 In 1994, the public face of Bernardin is Mary Bewick (sic): “Mary Bewick, a spokeswoman for Bernardin of Canada Ltd., a Toronto-based canning supply manufacturer…”  Creighton, Judy. Jam-making popular after all these years. Brandon, Manitoba. Brandon Sun. 7 July 1994. Page 11. In 1994, Bernardin was hurt in a trade war with Ball and Kerr, whom a trade tribunal later found guilty of price dumping in Canada: “Counsel noted the decline in Bernardin’s profitability, its inability to meet yearly budget targets, the increase in unabsorbed fixed overheads and lost margins. Finally, with respect to Bernardin, counsel claimed that its employment and hours worked took a substantial hit in 1993 and 1994 as a result of lost production”  Canadian International Trade Tribunal. 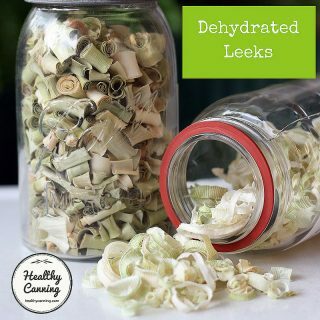 Inquiry: Caps, Lids And Jars Suitable For Home Canning, Whether Imported Separately Or Packaged Together, Originating In Or Exported From The United States Of America. Inquiry No. : NQ-95-001. October 1995. Page 4. 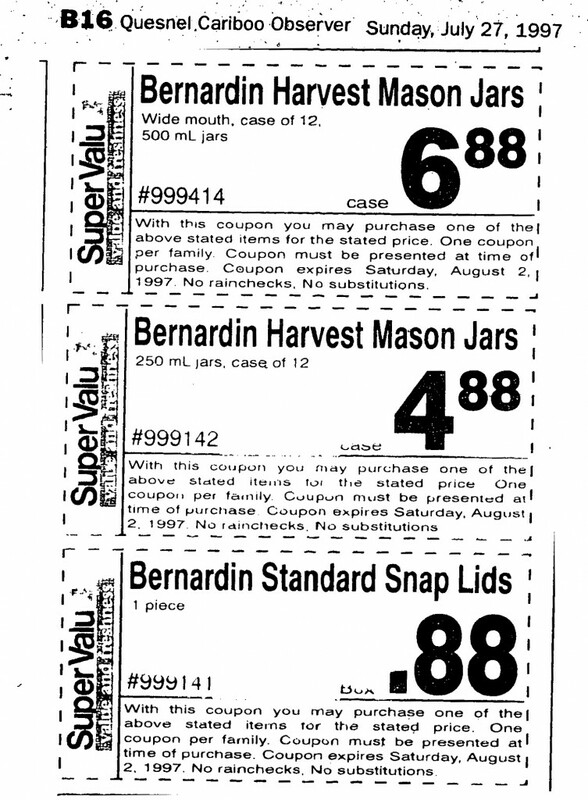 1997 advertisement for Bernardin “Harvest” jars. Advertisement in: Quesnel Cariboo Observer. Quesnel, British Columbia. 27 July 1997. Page B16. Click to enlarge. 3. ↑ Liquor League Makes New Move. Fort Wayne, Indiana: Fort Wayne News. 14 April 1908. Page 1. 5. ↑ The Daily Screw. 8 February 2004. Accessed March 2015 at https://www.bullworks.net/daily/04feb08.htm . Attributed to book: Indiana: From Frontier to Industrial Commonwealth , 1954. 7. ↑ Companies Merge. Kokomo, Indiana: Kokomo Tribune. 9 January 1980. Page 8. 8. 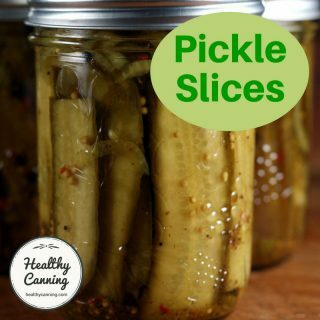 ↑ “Update old pickle and relish recipes”. Shoal Lake, Manitoba: Shoal Lake Star. 18 September 1990. Page 13. 9. ↑ Creighton, Judy. Trendy fruit vinegars add distinct taste to many dishes. Winnipeg Free Press. 22 July 1992. Page 23. 10. ↑ Canadian International Trade Tribunal. 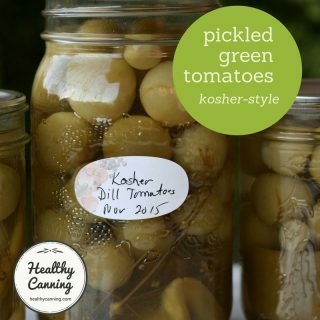 Inquiry: Caps, Lids And Jars Suitable For Home Canning, Whether Imported Separately Or Packaged Together, Originating In Or Exported From The United States Of America. Inquiry No. : NQ-95-001. October 1995. Page 11 – 12. 11. ↑ Creighton, Judy. Jam-making popular after all these years. Brandon, Manitoba. Brandon Sun. 7 July 1994. Page 11. 12. ↑ Canadian International Trade Tribunal. 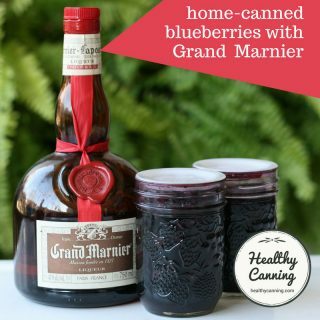 Inquiry: Caps, Lids And Jars Suitable For Home Canning, Whether Imported Separately Or Packaged Together, Originating In Or Exported From The United States Of America. Inquiry No. : NQ-95-001. October 1995. Page 4. I have caps and lids “63” narrow mouth but need jars for them. Where can I find jars to fit the lids? For jars, look on eBay, Etsy, Kiji, Craigslist, or ask in canning groups on FB if anyone has any kicking around they want to get rid of. 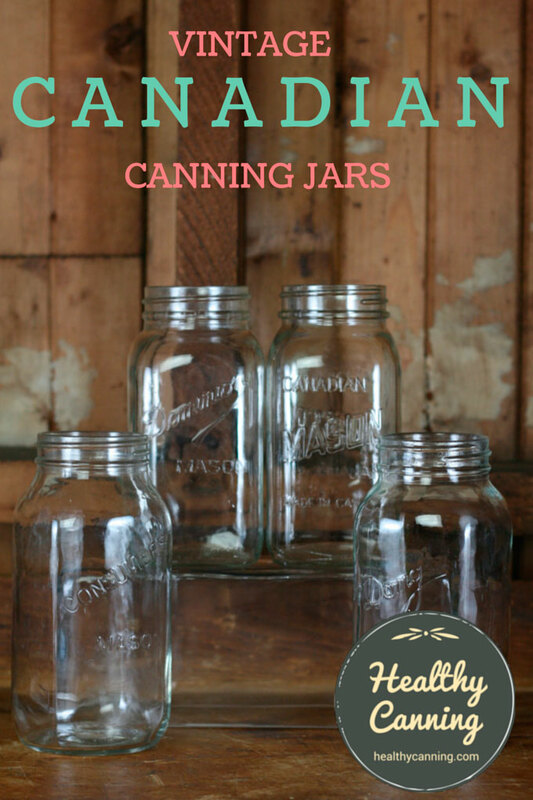 Bear in mind that if the lids are old, they may not be useful for canning as the gasket may be too old to create and hold a proper seal. Also bear in mind that the reduced mouth-size was a war-time measure to save metal on the lids, and that one of the reasons they didn’t keep that jar mouth size going was that people found them a bit of a pain to use. A good place to start checking would be over at https://www.antique-bottles.net/ . Really friendly people, and they really know their stuff. Good luck!